Now I can test the Receiver without any special tricks. More importantly, however, I've made it obvious that a Receiver is dependent on time, I can't even create one without a Clock. One could argue that this is breaking encapsulation by exposing the internals of a Receiver, I should be able to just create an instance and not worry, but personally I want to know about this dependency — especially when the service is rolled out across timezones and New York and London start complaining about different results. This version of Receiver is more focussed, it doesn't need to know how to distinguish one date from another and it only needs to get a date to set the first value. The Clock interface defines exactly those date services a Receiver needs from its environment. But I think I can push this further. The Receiver only stores a date so it can detect a change of day, perhaps I should delegate all the date functionality to another object which, for want of a better name, I'll call a SameDayChecker. All the logic about dates has been separated out from the Receiver, which can concentrate on processing the request. With two objects I can make sure that each behaviour (date checking and request processing) is unit tested clearly. I can hide a dependency from the caller of a component by using a global to bypass encapsulation, but that doesn't make the dependency go away, it just makes it inaccessible. For example, I once had to work with a .Net library that could not be loaded without installing ActiveDirectory — which I couldn't do on my machine and wasn't actually required for the features that I wanted to use. The author was trying to be helpful and make the library "just work", but the result was that I couldn't even try it out. 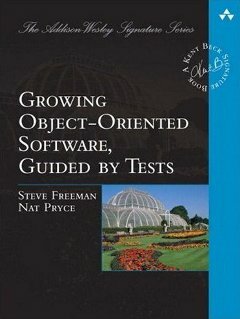 The point about Objects, as a technique for structuring code, is that the boundaries of an object should be clearly visible. An object should only deal with values and instances that are either local, created and managed within its scope, or passed in explicitly. In this example, the act of making date checking testable forced me to make the Receiver's requirements more explicit and then to think more clearly about its structure. For many years years JUnit was the only framework that Java programmers could use for writing tests. However, Java now has a plethora of test frameworks to choose from, JUnit 3, JUnit 4 and TestNG being the three most popular. Likewise for mock objects developers can choose between jMock 1, jMock 2 or EasyMock. This variety is a problem if you need to run tests that have been written for different frameworks or write tests that need to be run in different frameworks. To solve this we will soon release two new projects, commons.testing and commons.mocking, which will provide a common, framework-agnostic API for writing tests and using mock objects. Developers will be able to write to a single API and then select a test framework and mock object library to execute the tests at runtime by annotating their tests with the commons.testing annotations, writing a few dozen lines of XML configuration, setting system property and calling the CommonsTestingDOMConfigurator in each test fixture set-up. The commons.testing and commons.mocking frameworks will run be able to run the tests with JUnit 3, JUnit 4 or TestNG and, if you use mock objects, jMock 1, jMock 2 or EasyMock, with no change to the test code at all! The APIs are extensible: by writing to the commons.testing SPI you can add support for more testing or mocking frameworks. Furthermore, commons.testing can run tests that are defined entirely by XML configuration files instead of complex Java code. This will enable IT departments to greatly reduce the cost of pair programming and test driven development by having lower-cost, non-technical staff author the test cases that specify what the developers must implement in Java. Update: Looks like similar things are happening in the .Net world. See this announcement of an Enterprise Mocking Block.